It is unnatural to lose car keys. However, in a few situations, we do lose keys. As we do not carry the additional key that comes when we purchase the car, we find it difficult to address the situation. 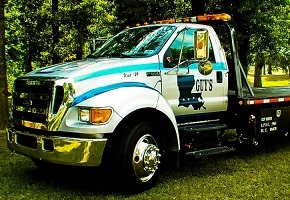 But, if you do have contact numbers of tow truck services, then you can find a way out of it with ease. Let us see how you can cross the hurdle. The first step is to store contacts of emergency services, which also includes towing companies. You never know when the need comes! But, to be sure of picking a reliable company, you will have to come up with a search and spend some time. The reason is that not all towing providers attend to all the services. Additionally, there is a limitation to the distance that they can cover during an emergency. A better way you can store the number on your phone is by looking through the internet. You can store a few located in your neighborhood and others that exist on the regular route that you take to the workplace. But, before you add the numbers, find about the services they offer, the charges, and especially, the professional approach. 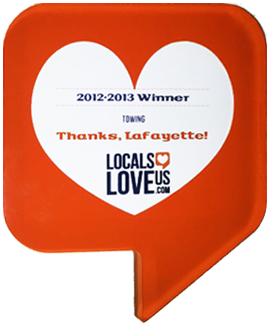 Only a handful offer exceptional services that please the customer and exceeds the satisfaction that one expects. With the guidance provided by the internet, it is simple to find anything these days. 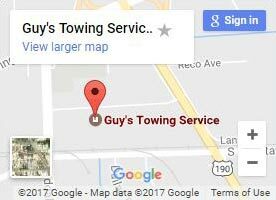 You can use the search box in Google to come up with the towing companies in your neighborhood and the road that you take to your office. Now, once you have the list, you can narrow them using basic parameters. It is the first parameter. Experienced companies work in the best interest of the customer rather than concentrating on the cost alone! Use it as the primary character while narrowing the list. Also, these companies engage their workforce with consist training to keep up with changing technologies, which helps them to attend to any need the customer requires. The next step is to find about the services offered by the company. Not every company attends to a situation when you lose your car keys. Of course, they may offer to tow the car, but that may not work when we consider the worst scenarios. Contact the concerned person and speak in detail about the services. Understand what their approach would be if you lose your car keys. Ensure that they have a professional and resources available to attend to the circumstance. Customer reviews help you to understand the quality or the professional approach of the towing company. A few have the ability and cross the extremes to please their customers while others attend to the job. You can read the reviews from the internet and see if you can find a reliable or well-talked company operating in your area. You can use the advice of your neighbors, friends, and colleagues to find about the companies that offer the best services. It will further help you to reduce the list of the companies. We often believe in a company and about the services offered when we learn about it through word-of-mouth, as those who spoke, have experienced the services rendered by the company. As the pointers above help in narrowing the list of the tow truck providers, the next phase is considering the option to choose the best or add two or three to the list. Once you have the list in hand, you can compare the services, the experience, the prices, and other parameters that will help you. You can then add a few companies operating in your neighborhood and those located through the area that you pass to your workplace. It will help you in case you lose the keys in the neighborhood or when you nearby the workplace. Do tow truck companies handle lost car keys cases? Given the technology and updated models of the vehicles, tow truck companies are offering services to their customers in case they lose their vehicle keys. Regardless of the car, tow truck operators tend to attend to the need and ensure that they tow the vehicle back to your home. It will be tough to say whether all the operators handle such cases, but it will be a good idea to ask before you can seek their assistance or feed their phone numbers under emergency. Do they offer key replacement services? If the key you lost is the second key, then you have to change the entire set. And, yes, tow truck companies do offer replacement of the key services. You can choose between, traditional keys, smart keys, and transponder keys. The provider will take down the car’s make, model, VIN, and other information using the registration card to prepare the new set of keys. As replacing the new key set is expensive, do talk about the same with the provider. So, if you are fearing about losing car keys or the need for a tow truck in case of an emergency, approach tow truck, as they possess experience, technology, and professionals to handle any situation. Speak to the concerned person to know more about the services offered, the cost, the coverage distance, key replacement technology, and more. The pointers described above will help you in choosing the best providers in your area and around the regular route that you take to the office.